The hardest part about moving to Vietnam is choosing where to live. It’s one of those countries that has something for everybody. Stretching for more than 3,000 kilometres from north to south, and bordered the entire distance by the South China Sea, it’s the perfect country for adventurers, urban aficionados and beach lovers. Vietnam didn’t open its doors to Westerners until about 20 years ago. As a result, it’s still fresh, finding its own way and on a fast track to becoming a modern, dynamic country. Steamy Ho Chi Minh City is Vietnam’s largest city. It offers the best medical care, the biggest shopping centres and the liveliest nightlife in the country. There is a large and active expat community here. 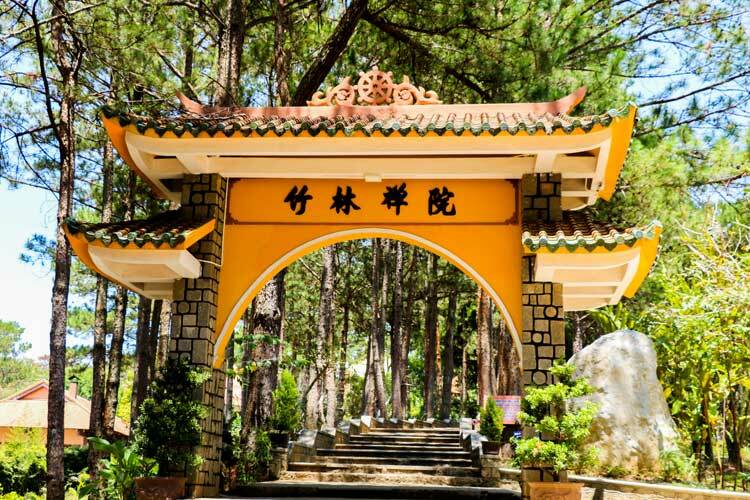 Nearby Vung Tau makes a perfect weekend escape—the laidback town and pretty beaches attract not only weekend warriors, but is also home to a sizeable expat population. Under the shadows of the Annamite Mountains to the west, verdant rice paddies run parallel to the South China Sea. As you head north from Ho Chi Minh City towards Hanoi you will find small towns, resorts and a few notable cities along the coast. The resort town of Mui Ne attracts expats who want to live near the ocean and Vietnam’s only sand dunes; it’s an easy day’s drive from Ho Chi Minh City. Nha Trang has one of the world’s most beautiful bays and a growing number of expats choose to settle here. If an eternal spring climate is more to your liking, the southern Central Highlands city of Dalat offers pine forests, exotic Zen temples and thundering waterfalls for those seeking an adventurous lifestyle.The UNESCO World Heritage City of Hoi An and the nearby progressive metropolis of Da Nang are midway between Ho Chi Minh City and Hanoi—both are considered to be among the most desirable places to live in Vietnam. Hue is another UNESCO World Heritage City that has attracted a small expat population…and there’s also beautiful Ninh Binh, which is surrounded by rivers, caves and wildlife. One-thousand-year-old Hanoi, the historically rich and lively capital of Vietnam, also attracts a good deal of expats. The city’s many parks and lakes, stately French mansions, ancient traditions and dynamic food scene provide endless urban activities…and nearby areas also warrant exploration. Fabulous Halong Bay and Bai Tu Long Bay can be discovered on a day trip, although an overnight cruise allows for serious R&R. The hill station of Sapa is surrounded by high mountains, terraced rice paddies and remote and timeless villages. Hanoi has hot summers and chilly winters. The best medical care is found in Ho Chi Minh City, followed by Hanoi. Both cities have internationally accredited hospitals and medical care is competent and affordable. The cost of living varies by area, but is highest in the largest cities. By Western standards, Vietnam is a very inexpensive place to live, even in Hanoi or Ho Chi Minh City. Western conveniences can be found throughout Vietnam in any tourist destination or in areas with foreign populations. Restaurants, from burger joints to fine French cuisine, widely available imported foods and wines and expat owned businesses are just a few of the ways that foreigners are made to feel at home. The Vietnamese people are welcoming and overwhelmingly curious. They seek out opportunities to practice speaking English and will invite you into their homes and into their hearts. Vietnam has opened its doors to Westerners, and with so much to offer, there has never been a better time to go. Visiting Vietnam for a short holiday is far different to living here. Unless you have an insider’s view, that is. My husband David and I love Vietnam. And when it comes to finding a place to call home here, we’ve been spoiled for choice since the day we arrived. We loved Nha Trang’s spectacular bay, ringed by a long expanse of golden-sand beach, sparkling turquoise water and lush green islands that seemed to shimmer in the distance. When I talk to friends who’ve never visited Southeast Asia about my life in Vietnam, they’re often surprised by some of the things I take for granted. Reliable WiFi in every cafe and restaurant, modern shopping centres, cinemas that show English language movies, even an ice rink. But that’s Vietnam for you…full of surprises. Is This the Biggest Jesus in the World? “Is this the biggest Jesus in the world?” That’s the question I found myself asking as I marvelled at the imposing statue standing 32 metres tall and spanning 18 metres wide, perched high on a hilltop before me. This impressive Christ the King statue is even larger than Rio de Janeiro’s famed Christ the Redeemer but, as it turns out, it’s not quite the world’s biggest Jesus, it ranks third. Read more: Is This the Biggest Jesus in the World? Back in 2005, when my husband David and I first arrived in Vietnam, it was not with the intention of living here. We had just begun what we thought was a round-the-world trip and Vietnam was only our third stop after touring Hong Kong and China. It’s a balmy day, perfect for a stroll. A gentle breeze ripples through the trees lining the wide, leafy boulevard I’m walking down. The scent of freshly roasted coffee drifts out from chic cafes lit by twinkling chandeliers, and glittering designer boutiques lead the way down to the riverfront. My husband, Tim, and I were 44 and 49 when we left Australia with a plan to travel for a year then work for a year. That was in 2010. Six years, and many adventures later, we’re semi-retired and teaching English in Vietnam. We always knew we wanted to see more of the world so, after a lot of research and having obtained our teaching English qualifications, we packed up our lives and hit the road.